One of the 5 ferries in Corsica Sardinia Ferries Mega Express family, Mega Express Two has a capacity for up to 1800 passengers and around 550 vehicles. 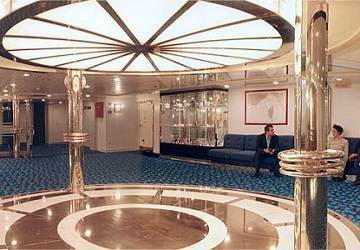 Sister ship to the Mega Express, the Mega Express II is fast during the day, comfortable at night and offers you all the amenities of a big ship. 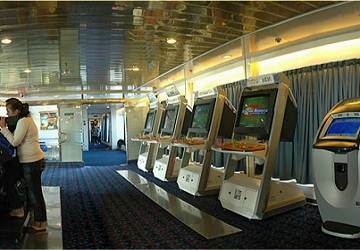 Onboard Mega Express Two you’ll find a selection of cabin accommodation, an a la carte restaurant, cafeteria, pizzeria, spaghetteria, buffet, swimming pool, bar, video games room, shops and much more. 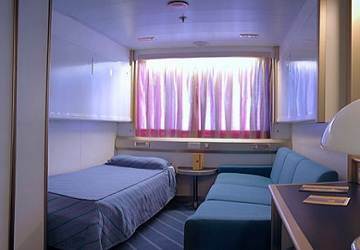 Mega Express Two has around 1200 beds spread across 300 cabins. Cabin accommodation is available in configurations of 2, 3 or 4 bed, both inside and outside (sea view) and all are en-suite. 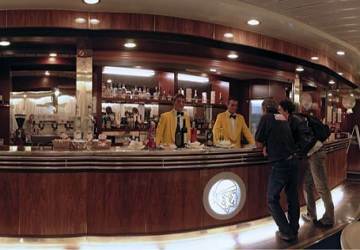 There is no shortage of places to eat and drink onboard Mega Express Two. 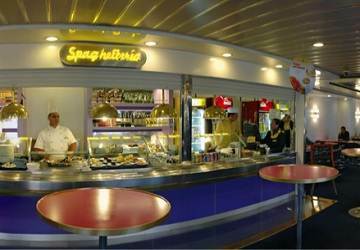 Choose from a Mediterranean menu in the a la carte restaurant or for something a bit more relaxed try the self-service buffet, the spaghetteria or the café. 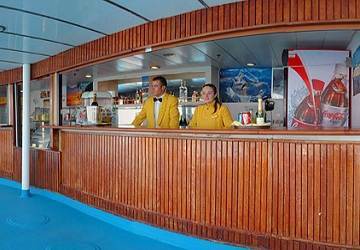 There’s a wide variety of drinks on offer in the main bar where you’ll find comfortable surroundings, a great atmosphere and a sea view. 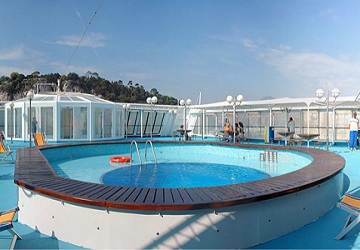 There is also a deck bar where you can enjoy a relaxing drink in the sun by the pool. 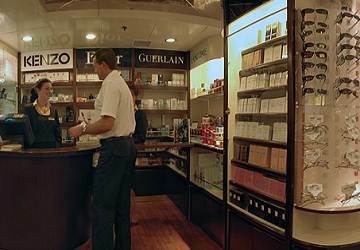 In the Mega Express Two shop you’ll find a choice of popular perfumes, cosmetic products, clothes, sweets, general items and more. 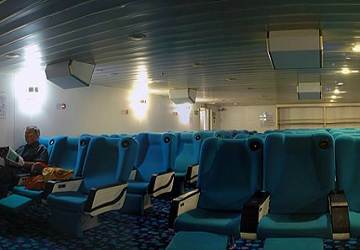 The Mega Express Two features a specially built play area to keep the younger passengers entertained throughout the voyage. 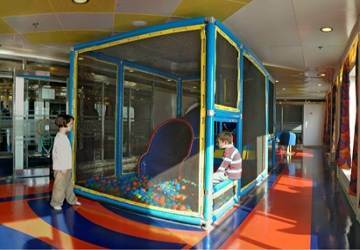 There is also a video games room for older children. Please Note: Whilst we have taken great care in making our Mega Express Two guide as accurate as possible, onboard facilities, services and entertainment may vary depending on the date and time of year that you travel, facilities mentioned may change without notification and ferry companies reserve the right to operate vessels other than those mentioned at time of booking without prior notification. "Good crossing with a neat cabin"
Good crossing with clean a cabin. Departed on time and arrived on time. Check in at the port was quick, simple and the staff was efficient. 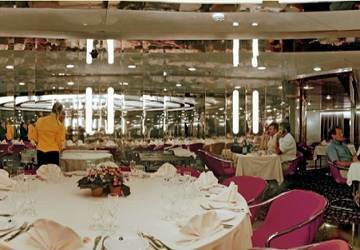 Excellent crossing, peaceful, comfortable, good lunch in restaurant, reasonably cheerful crew. Easiest way to travel between France and Corsica though rather an early start. We travelled out and back on board the Mega Express. The boat was punctual. Everything was clean. We had a good meal for a reasonable price. All the meal prices were reasonable. 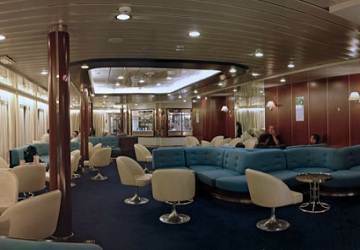 We want to travel again with Corsica Ferries. "Nice - Calvi and back"
perfect ferry operator, the employees only needed the reference number which I'd printed with the booking, so no tickets required (may be it's worth mentioning as according to the info on the confirmation, tickets have to be collected, which is not the case). Very satisfied! 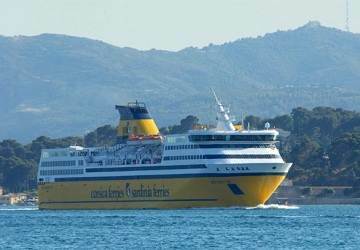 Good job Corsica Ferries! The trip was very nice, the staff incredibly helpful and friendly. Clean ship. 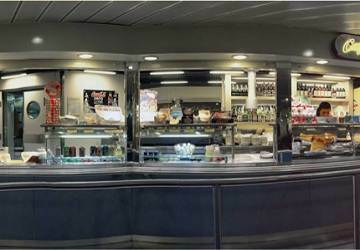 "The ferry to Sardignia "
It was great travel, you can sleep, eat, drink a beer. Comfort and fast trip. The cabin was ok, it was even a shower inside. The price was w porzadku. 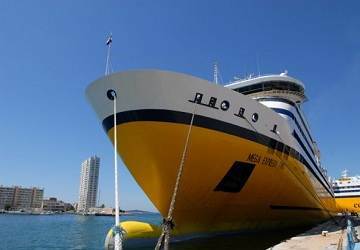 "Savona and Basta with Corsica Sardegna Ferries with Mega Express Two"